Don’t you wish there was some kind of magic Mojo you could have to help you and your business grow? Have you ever felt like you want something special to support you and your business? Us women have lost touch with much of the ancient wisdom traditions which knew it was important to support the power of the feminine. It’s that same power we need today to create the lives and businesses we want to have. Historically our sisters wore bundles or amulets around their necks, resting close to their hearts. 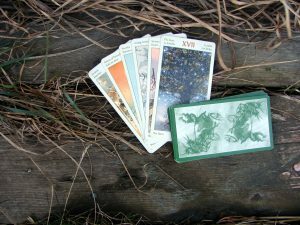 They held material with elemental properties to support their efforts and ease their trials. Drawing from my own spiritual tradition of witchcraft, I’ve created a modern version of the amulet for you and me. I’ve designed them with the female entrepreneur in mind, specifically tailored to support your desires, your goals for 2017 and helping you overcome the obstacles you desire to overcome to get there. 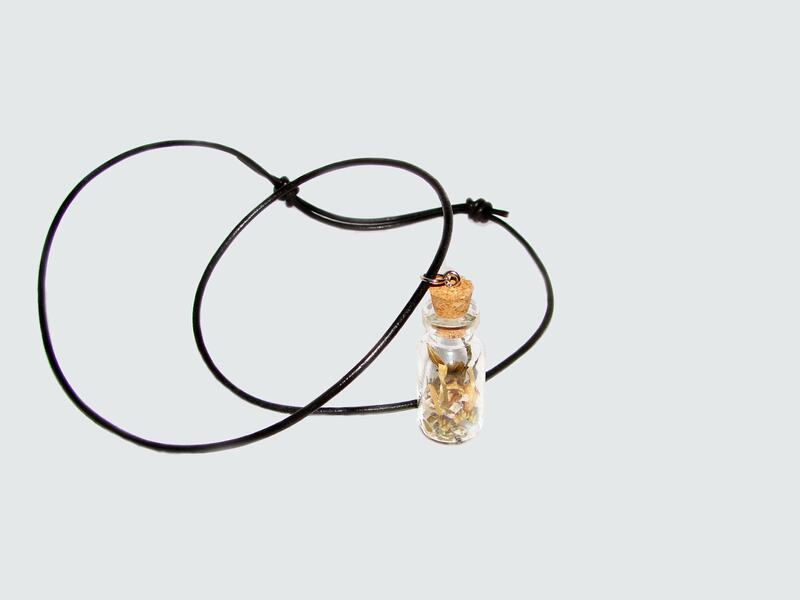 To me, an amulet is a magical object created to support you in a specific area of life. 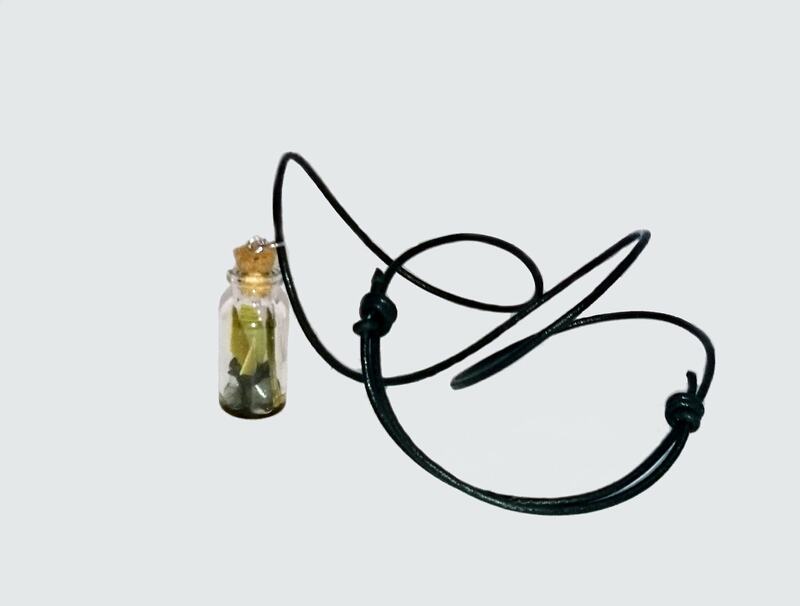 Amulets are a combination of magical properties and a physical reminder for you. This amulet was made to support the wearer in conquering visibility challenges. It was sent to a successful, female entrepreneur in the US. This one was made for a coach who wants to finish her first book and it’s for persistence, finding the support people to help her, taking the time to write, and having the energy to do it. The bottle is made of glass with a cork stopper. It’s hung on a leather strap using an eye hook and a jump ring. It can be worn comfortably inside your shirt, or adorned further to wear on the outside. I make these amulets using runes, herbs, stones, and oils with specific properties. Each amulet is custom made, so I’ll need to talk to you before you can have one. I’m using my 20+ years of experience to get them just right for you. This is not one of those diskovery sessions meant to sell you a high ticket item or program because that isn’t how I roll. I will suggest a solution for you, but there will be no pushing. We’ll be chatting to get to know each other and working on finding the best possible solution for you. You may choose to create the amulet yourself, In which case I will send you the instructions to make it. Or you may choose to ask me to create it for you, using my experience in the field. Either way, you will walk away with a result, and what this is will be your choice.